Five dinosaurs and impressions of their respective tracks on a vibrant shirt. Includes the Tyranosaurus Rex, Stegasaur, Triceratops, Dilophosaur, and the Camarasaur. WHich one is your favorite? 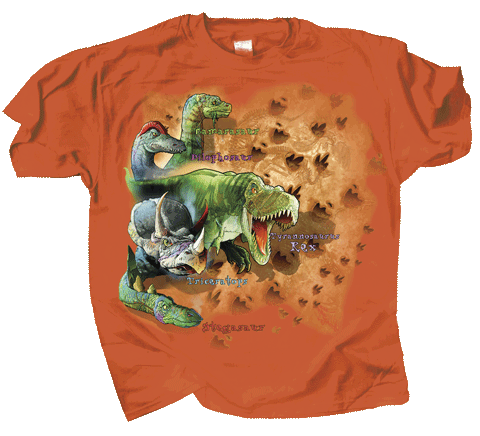 Tags: camarsaurus, dilophosaurus, dinosaur shirt, Stegosaurus, t-shirt, t-rex, Triceratops.